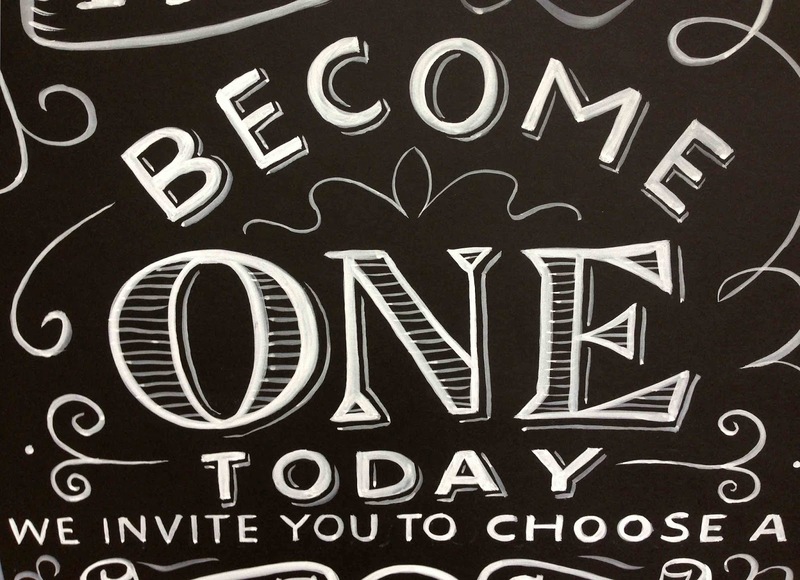 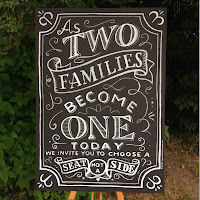 Our client Rosie had a 'thing' about chalk on blackboards. 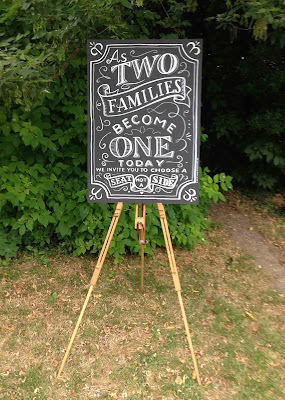 But not so much the usual phobia of nails being scraped down a blackboard, but rather a distaste for chalk itself. 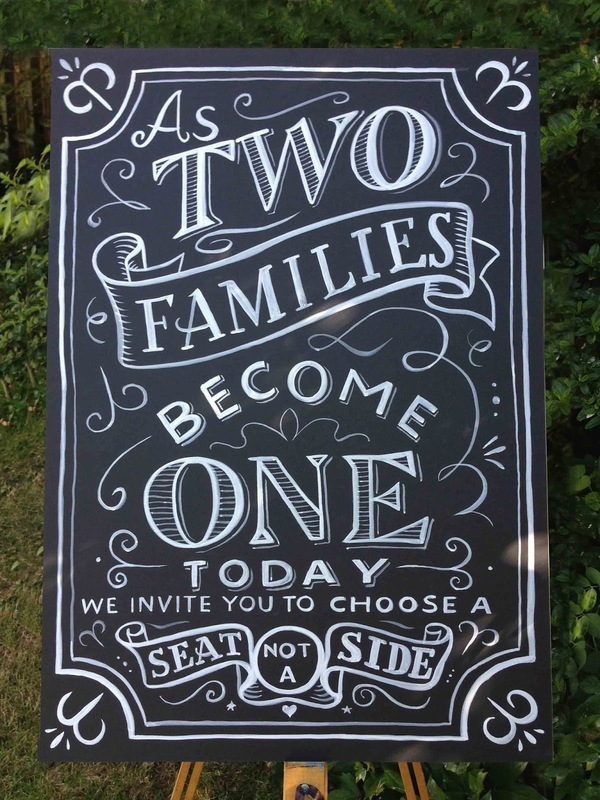 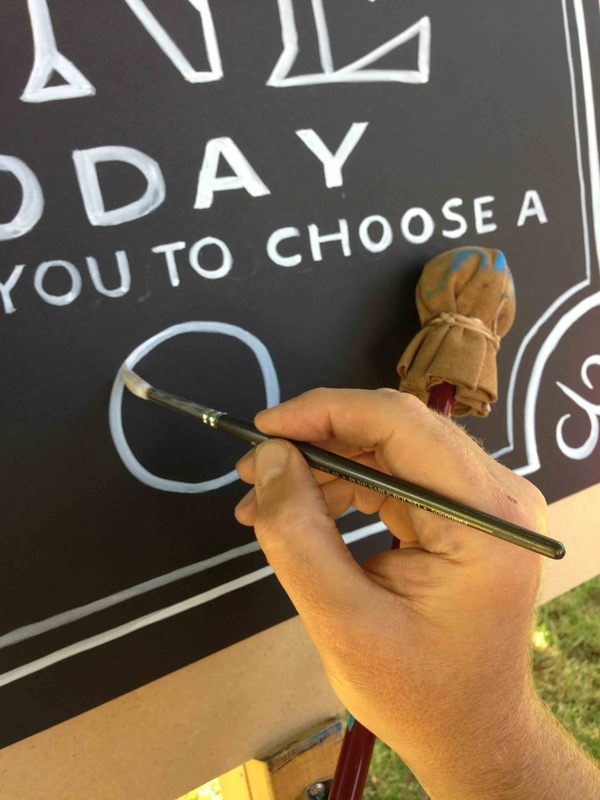 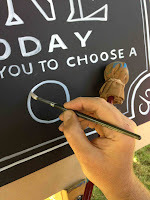 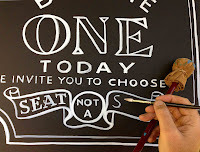 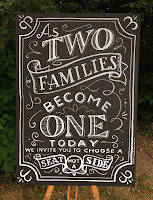 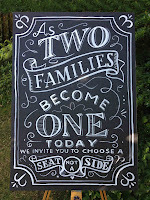 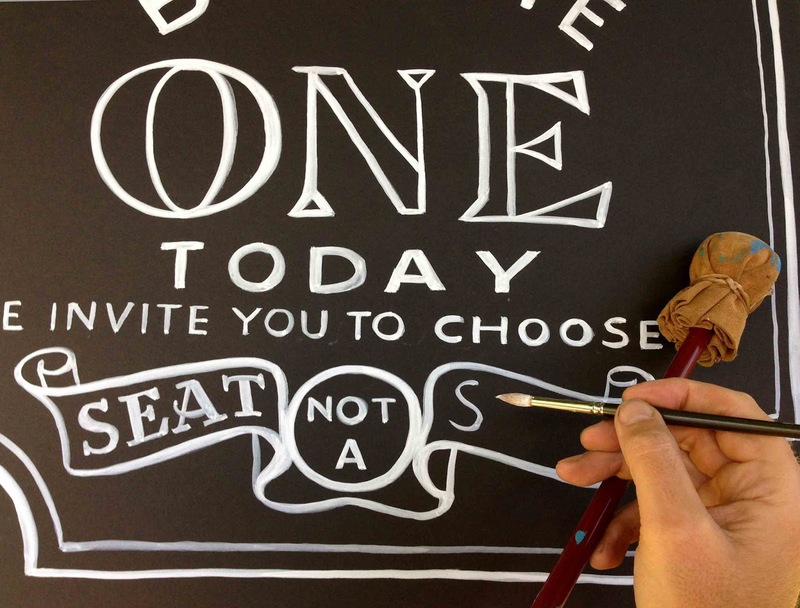 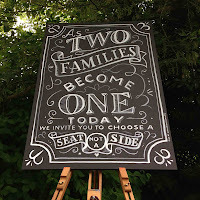 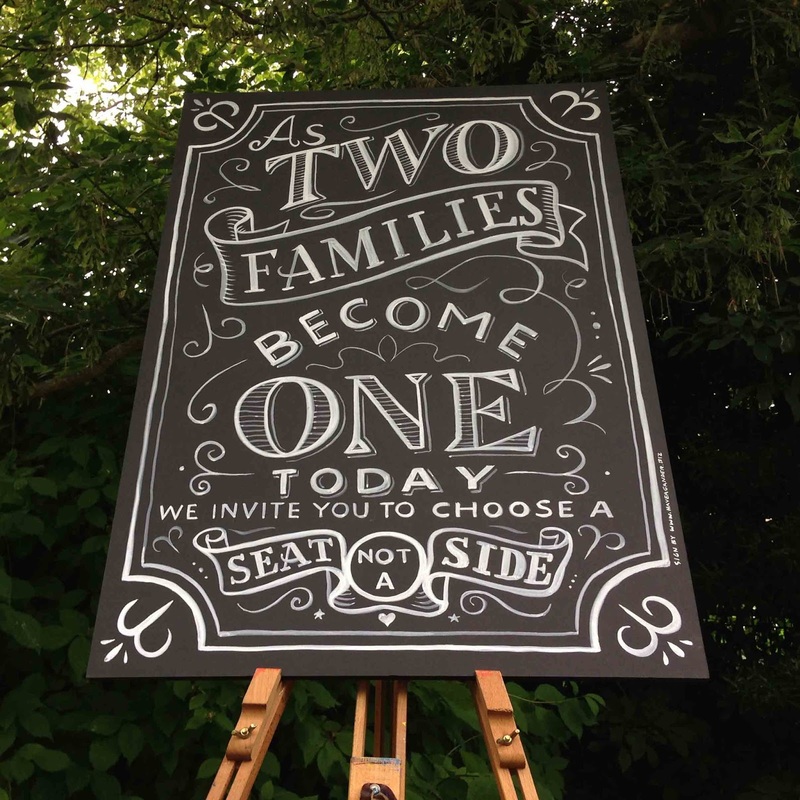 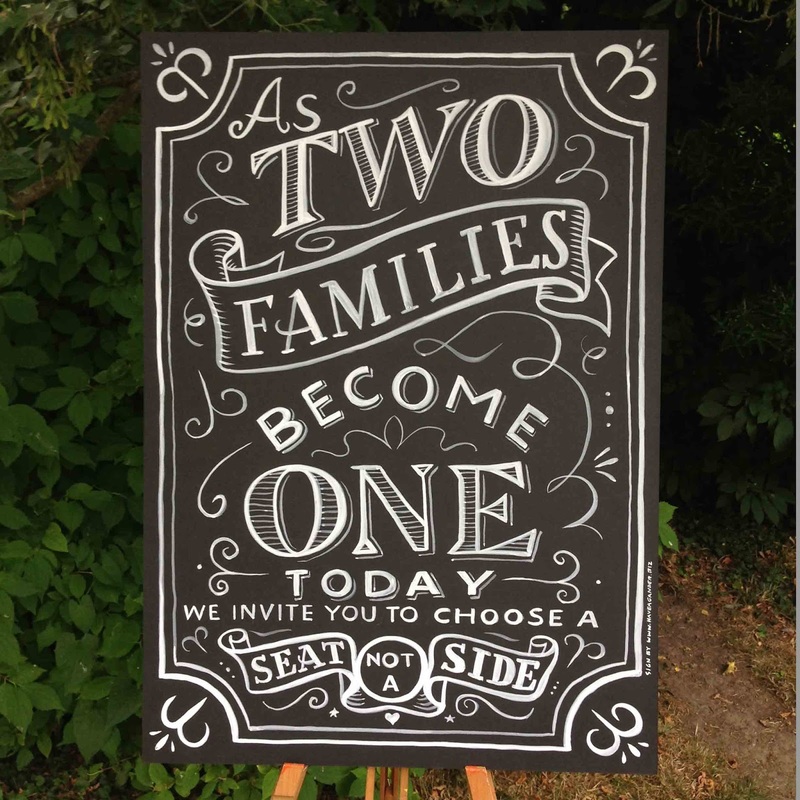 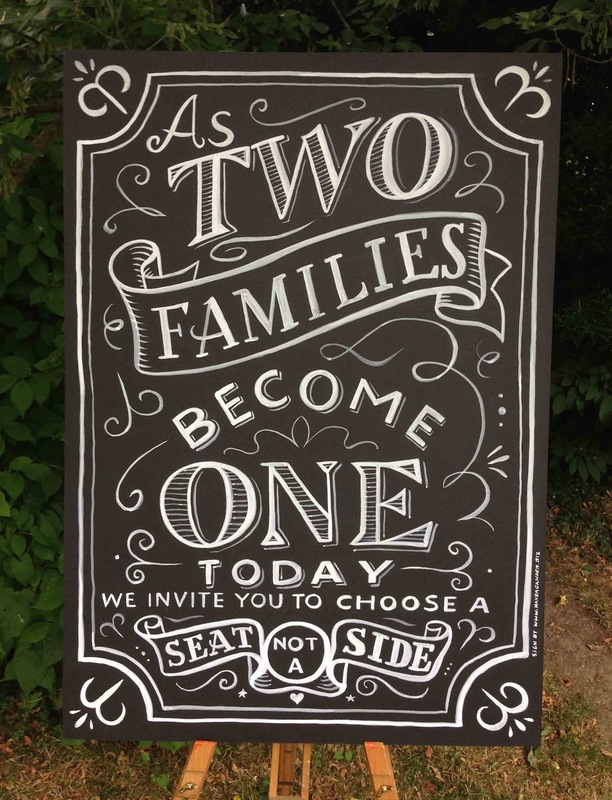 But she wanted a blackboard for wedding guests nevertheless, so we suggested the very chalky-looking 'gouache-paint-on-black' approach. 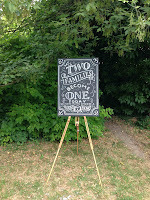 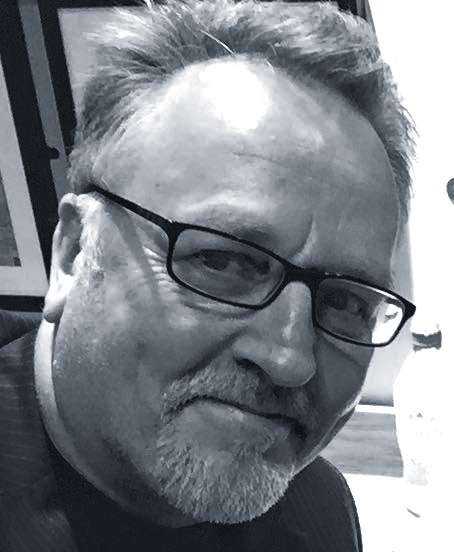 It worked a treat and here are the work-in-progress pics. 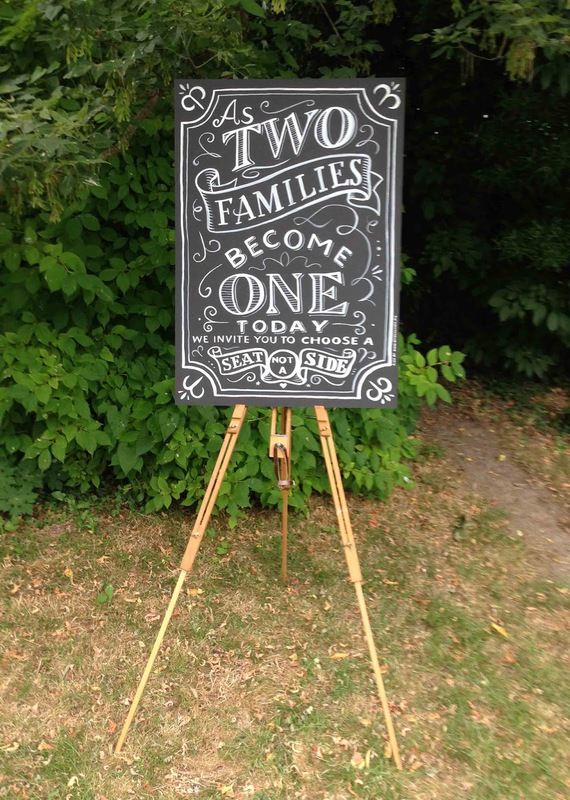 The blackboard was seen just at the entrance to the church on the big day.